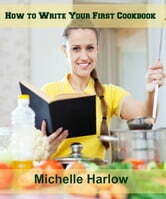 Do you have a cookbook in you? If you’re like me and you love to cook and people are always telling you how good your food is, you may just have what it takes to write your own cookbook. I recently completed my third cookbook and am currently working on my next. I am not a chef, in fact I have never done any kind of cooking training. I learned to cook by watching my grandmother and then honed my skills over the years simply by doing. This is an easy guide to writing and publishing your own cookbook.